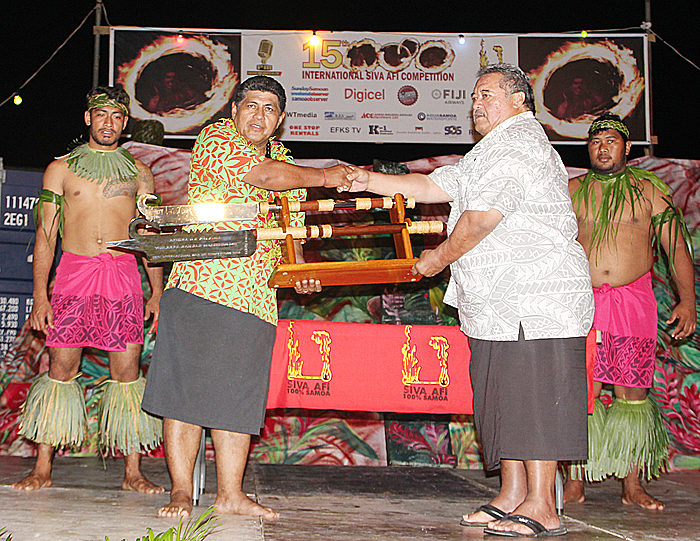 Owner of Siva Afi Leota Lene Leota presented gifts to the patron of Siva Afi and the Prime Minister Tuilaepa Sailele Malielegaoi for being a strong supporter of the competition for 15 years. However, due to government meetings that he is attending to this week, it was the Minister of Police and Tourism, Salā Fata Pinati who accepted the gifts. According to Leota this presentation is one of the highlights for this year’s annual competition. 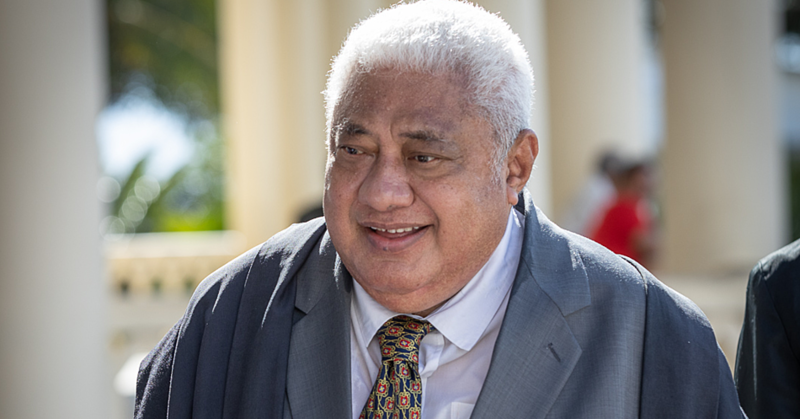 “We wanted to honour him for all that he has done for Siva Afi,” said Leota. “So we thought what better gifts to give him than our very own traditional fire knives which is why we presented him two of those knives as a token of appreciation for all his support. 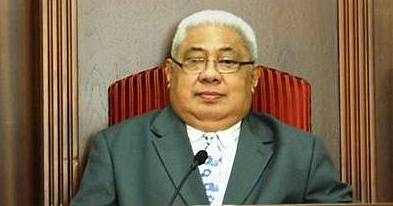 The presentation was conducted on the night of the finals and Sala accepted the gifts and thanked Siva Afi on behalf of the Prime Minister.